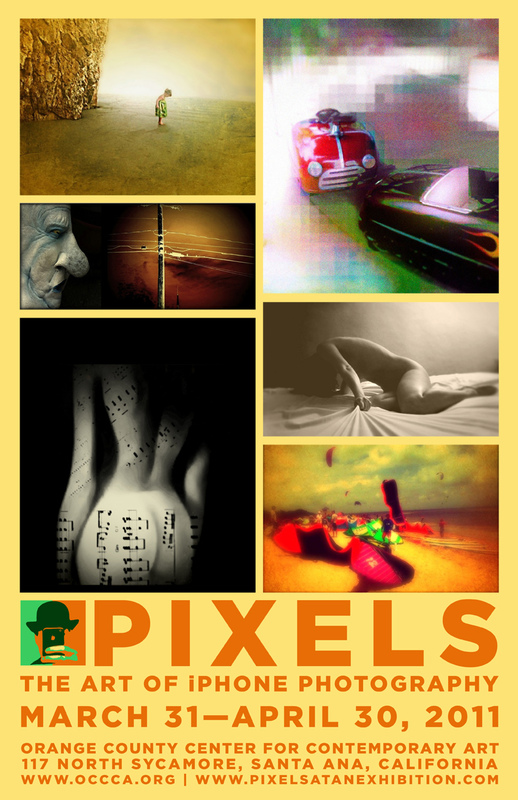 There was a great turn out last night for the opening reception of the exhibition entitled Pixels: The Art of iPhone Photography at the Orange County Center For Contemporary Art where I have several of my photographs along with four of my experimental videos showing. This group exhibition showcases the best iPhoneographers from around the world and will run from March 31st through April 30th 2011. 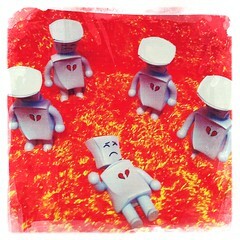 The exhibition will then move to the Arty Gallery in downtown Los Angeles during the months of May and June 2011. Just thought I’d write a little follow up to my previous “Creative Photography” post. This time instead of getting all crazy with the multiple app processing to get a painterly look, I kept it simple using just the Hipstamatic app with the John S Lens and Pistil Film options. In the case of the “Diner” photos I did do a little bit of additional processing with the Film Lab app to tone down the colors just a bit using the Cross-Processing Americano effect; and the Pasadena Playhouse and Zona Rosa Caffe photos using the Cross-Processing Sandal effect.